Not many people are able to accumulate $1 million in retirement savings. 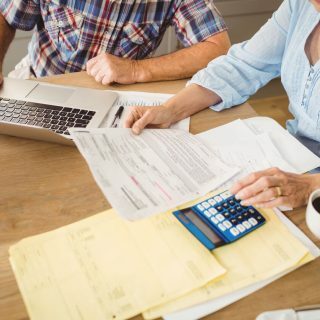 In fact, according to a report by the Economic Policy Institute, families headed by people between the ages of 56 and 61 have a mean retirement savings account balance of $166,577. Disturbingly, the report says that even families nearing retirement have little or no retirement savings. Only the top 1 percent of families has managed to sock away $1 million or more for retirement, the report says. What if you’ve beaten the odds and have saved $1 million for your golden years? How long will that money last? Well that depends on where you live, according to a study by the website SmartAsset.com. Nationally, $1 million should last about 30 years in retirement, website spokesman Steve Sabato told Annuity.org. But that can be extended or reduced depending on where you live. SmartAsset.com looked at 261 U.S. cities and calculated the average cost of living for retirees. The study accounted for data from the Bureau of Labor Statistics to determine the average yearly expenditures of seniors and cost of living data from the Council for Community and Economic Research. The study assumed $1 million would grow 2 percent a year, accounting for interest minus inflation. The city with the best numbers would allow $1 million in retirement savings to last a whopping 42.3 years. A retiree in the worst city in the rankings would blow through that money is a little more than 12.5 years. For each location, the site gave average annual expenses for housing, food, health care, utilities and transportation. The biggest difference, not surprisingly, came in housing costs. The city where retirement money will go the furthest has under $6,000 in housing costs for a year, while the city where the money will disappear faster costs more than $41,000 a year for housing. By comparison, national annual housing expenses were estimated at $8,819. In general, the places where money will last the shortest amount of time were major metropolitan areas. The worst city probably won’t come as a big surprise. New York is notorious for being an expensive place to live. And so where is the best place to make $1 million last the longest in retirement? The border town of McAllen, Texas. The town — population 828,000 — was rated as 115th for best places to live and 6th as one of the best places to retire. For another take, another website, howmuch.net, analyzed how long $1 million would last retirees in every state. Although Texas had two cities in the top five in the SmartAsset.com study, the state as a whole ranked 9th in the howmuch.net analysis, with $1 million projected to last 24 years and 1 month in retirement. Sabato, S. (2018, May 3). Email interview with annuity.org.